Marjorie L. Savage, 94, Kokomo, died 12:55 a.m. Wednesday, August 8, 2018, at the Wellington of Kokomo. She was born February 17, 1924, in Union City, Indiana, the daughter of Allen and Ethel (Tibbs) Cartmell. She was married August 19, 1945, in Kokomo, to Aundis “Jack” Savage, and he preceded her in death on January 14, 2004. She attended Kokomo High School and enjoyed being a homemaker. She was a member of the First Church of the Nazarene in Kokomo. She enjoyed reading and working puzzles. She was an accomplished baker known for her pies. She was a devoted wife, mother, grandmother and great-grandmother. Surviving are two daughters, LuAnn Hostetler and her husband Jeff, of Portage, and Linda Kay Gonzalez, of Kokomo; four grandchildren, Christopher Gonzalez and his wife Michelle, of Valparaiso, Michelle Hostetler, of Portage, Sarah Chamberlain and her husband Roger Lee, of Danville, Illinois, and Michael Hostetler, of Portage; four great-grandchildren, Alexa and Trevor Gonzalez, and Caroline and Remington Chamberlain; and sister-in-law, Grace Brantley, of Kokomo. She was preceded in death by her husband; two brothers; one sister; and son-in-law, Alejandro “Alex” F. Gonzalez. Funeral services will be at 12 p.m. (Noon) Saturday, August 11, 2018, at the First Church of the Nazarene, 2734 S. Washington St., Kokomo, with Pastor Mark L. Hostetler officiating. Entombment will follow in Sunset Memory Gardens Mausoleum. Friends may call at the church from 10 a.m. until service time on Saturday. 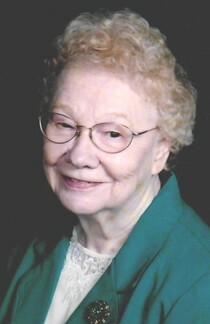 Memorial contributions in Marjorie’s memory may be made to the First Church of the Nazarene in Kokomo or Grace Nazarene Church, 5360 Clem Rd., Portage, IN 46368. Messages of condolence may be left online at www.shirleyandstout.com. Shirley & Stout Funeral Home & Crematory is assisting the family with arrangements.